The Belgian Grand Prix seems to have settled down into the smallness and anonymity of the Terlamen-Zolder circuit, just off the Antwerp-Liege autoroute. What was once the Grand Prix de Belgique on the magnificent Spa-Francorchamps circuit in the forests of the Ardennes, with lap speeds of 160 m.p.h. 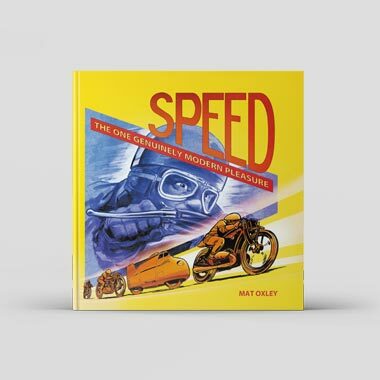 or more, is now resigned to being a simple Formula One event among three days of practice, saloon-car racing, mini-car racing and all the fun of the fair. As the Zolder circuit, of 4.262 kilometres in length, can only allow 24 starters there had to be some weeding out before the race took place on Sunday May 21st at 3 p.m. 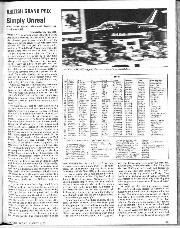 In addition to Mr. Ecclestone’s “chosen twenty” (or F1CA members), invitations were given to Renault (Jabouille), Frank Williams (Jones), Arrows (Patrese) and Hesketh (Daly), not to take part in the race necessarily, but to be allowed to join in the official practice on Friday and Saturday. The previous week the rest of the hopefuls who wanted to take part had a qualifying session all to themselves, all running on a “regulation” type of Goodyear tyre and the result was that Bruno Giacomelli (third works McLaren M26/7), Rolf Stommelen (Arrows), Rene Arnoux (Martini MK23/1) and Keijo Rosberg (Theodore) all qualified to go forward into the official practice days, though not necessarily into the race itself; that depended on official practice times, so there were still four drivers who were not going to take part in the race. Those left behind on the Thursday before race week were Rebaque (Lotus 78), Merzario with his own car, and Lunger (McLaren 964 M26/6). When this initial weeding out had taken place the Belgian organisers tried to infiltrate two of their own drivers into the system, these being Patrick Neve and Bernard de Dryver, but Bernard de Obergruppen- fuhrer Ecclestone would have none of it, so the two Belgian hopefuls became spectators. There are times when you wonder if the Belgians are running their own Grand Prix or not! After this initial weeding out the serious business (if racing on the little Zolder circuit can be considered serious) began, with the regulation two practice sessions on Friday, one and half hours in the morning and an hour in the afternoon. The paddock seemed to be very full of Tyrrell racing cars, for in addition to 008/3 (Depailler) and 008/4 (Pironi) the test car 008/1 was being prepared between test sessions at Anderstorp in Sweden and Paul Ricard in southern France, and 008/2 re-appeared all brand new and shiny after a comprehensive rebuild with a reskinned monocoque so that it was actually 008/2-2. The Brabham-Alfa Romeo team were unchanged from Monaco, with Lauda (BT46/4) and Watson (BT46/3) and BT46/5 as the spare, all of them still on normal disc brakes, the special carbon-fibre ones undergoing development work. Team Lotus had finished off their Lotus 79 which appeared briefly at Monaco, and it was now Andretti’s foremost car, his earlier car 78/3 standing by as a spare. 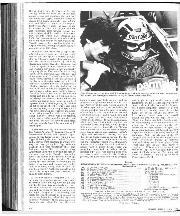 Peterson was still in 78/2, until such time as another Lotus 79 is completed, when he will take over the Andretti car, the team-leader having the new one. Hunt’s McLaren M26/4 was fitted with new discs to its front brakes, with many more cooling slots in the periphery, and Tambay’s car M26/5 was ready, but the driver was not; his left ankle and foot were suffering badly from skin burns caused by a fire-extinguisher going off in the cockpit of his Formula Two car during the recent race at Pau. McLaren M26/3 was the spare for the team, but with Tambay having to go to England for treatment to his foot, the McLaren team were down to one driver with three cars! This meeting was the debut of Bruno Giacomelli in a number of races this season, with a brand new McLaren M26/7, tailored to fit the plump little Italian, who is a protege of Marlboro. When it was obvious that Tambay was in no state to drive, Giacomelli was upgraded temporarily into number 2 position in the McLaren team. Normally he will run as a full works-supported entry, but separate from the Hunt, Tambay duo. Of the rest of the runners Derek Daly had the use of two Hesketh cars, numbers 308E/5 and 308E/4, Arnoux was in the lone Martini MK23/1, Rosberg in the Theodore TR1-2, Jochen Mass was in his usual ATS HS1/2 and Alberto Colombo appeared in the ATS HS1/1 in place of Jean-Pierre Jarier who has gone off to do other things. With Tambay on the sick list there was room for another runner, and as first of the pre-practice non-qualifiers Brett Lunger suddenly found himself with an entry, so there was some frantic rushing about to get his two McLarens to the circuit. The weather was dry but very overcast and dull and the whole circuit had been resurfaced and was looking very smooth. Obviously lap times were going to be better than previously, but nobody bargained for quite such an improvement as Andretti recorded with the now properly finished-off Lotus 79/2. 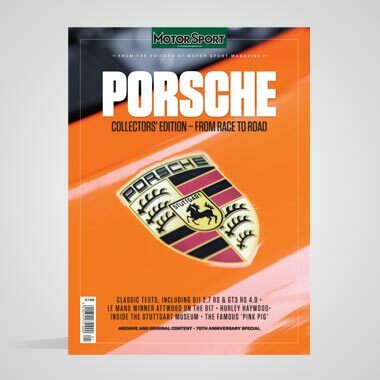 With very little effort he just disappeared from everyone’s reach, the new “ground effects” Lotus 79 (described in detail elsewhere in this issue) was phenomenal. With almost “neutral-steer” properties and running very smoothly it left everyone behind, even those like Wolf who had nearly caught up the Lotus 78 on technical worth! In the morning session Andretti clocked 1 min. 21.78 sec., the nearest rival being Reutemann in the Michelin-shod Ferrari T3 with 1 min. 22.60 sec., while in the afternoon he improved to 1 min. 21.48 sec. Next best in the afternoon was Scheckter with the Wolf WR5 with 1 min. 22.12 sec., followed by Reutemann who improved to 1 min. 22.35 sec. There was a lot of weeping and moaning about Goodyear tyres not being able to challenge the Michelins, but in fact Andretti was happily running the Lotus 79 on Goodyear tyres, and having no trouble from the Michelin-shod Ferraris. In fact, if the car is right, the engine is right and the driver is right, one begins to wonder if tyres are all that important. They do make a handy excuse for any team that has got something wrong in its system, or cannot juggle all its variables into a workable equation. 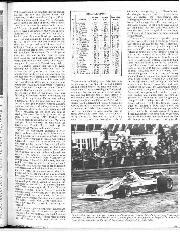 There was no doubt that Colin Chapman had got his equation of Lotus 79 chassis plus Cosworth engine plus Hewland gearbox plus Andretti’s driving plus Goodyear tyres, absolutely right for the Zolder circuit. On such a short, twisty circuit, the spread of times from fastest to slowest was quite remarkable, from Andretti at 1 min. 21.48 sec. at the end of the day, to Rosberg at 1 min. 28.28 sec. The Ligier was actually slower but had trouble, as did Stuck with his Shadow, an engine failure in the morning preventing him from practising in the afternoon. A remarkable feature of the first day of practice was the reliability factor, for only the spare Renault, the spare Ensign and the spare McLaren were used. The French team broke the V6 engine in RS01/03 in the morning, the Ensign team had a water leak into a sparking plug recess in the engine of MN06 (before Ickx was happy with the spare car MN08 all the springs and shock-absorbers had to be transferred from MN06!) and the engine in Hunt’s McLaren M26/4 went sick in the afternoon so that he did the last 30 minutes of practice in M26/3. The Wolf team were so content with their new car WR5 and the way it was going that they almost forgot where they had left WR1, which was standing by as a spare. After the two practice sessions the overall scene was much as it usually is, with all the usual front runners at the front, the mid-field runners in a jumble in the middle and the hopefuls still at the back. Gilles Villeneuve we now expected to be near the front, and he usually, is while Riccardo Patrese was very well up with the Tony Southgate-designed Arrows car, a sure sign that the Shadow breakaway group have got themselves organised. As always, just behind the front runners was Alan Jones with the Saudia Airlines- sponsored Williams car, the team having worked their way on to the organisers’ invite- list and on to Goodyear's favoured list by hard work rather than influence. On Saturday morning the weather was very dull and grey with rain showers not far from the circuit, but happily they kept away from Zolder. The 11/2 hours of practice were for full-tank testing and tyre choices to be made before the final fling for an all-too-short one hour timed session in the afternoon. It is usually the final hour that decides the grid formation and decides who the unlucky ones will be who will not start the race, in spite of all their efforts. Saturday morning is also used by most teams to check that their spare cars are in good order and to check and crosscheck fuel consumption figures, especially if you are like Team Lotus who have cut the tank capacity of the Type 79 to almost dodgy limits. Reutemann tried the spare Ferrari, number 033, and decided he preferred it to the one he had been using, Lauda tried the spare Brabham-Alfa Romeo BT46/5 but was quite happy with his original car, and Jones tried the spare Williams 002 to see if it was all right and found it wasn’t! Tyre vibrations caused brake-pad “knock-off” and as he braked for the chicane behind the pits the pedal went to the floor, a second jab on the pedal retrieved the brakes, but it was too late, he was too deep into the ess-bend and going too fast. He “straight-lined” the chicane and nearly got away with it, but went through the catch-fences. That was all right, except that a fence pole crashed into the cockpit and dealt him a severe blow on the upper part of his right arm. The car was a bit knocked about, but fortunately was not intended for the race. The McLaren team were wondering what they had done wrong, for at one point it looked as though they were down to one driver and four cars! As the little dumpy Giacomelli was getting out of his car he stumbled and twisted his ankle, which added to a wrist damaged in the Pau Formula Two race, and the fact that he was a bit uncomfortable in his McLaren’s cockpit, left the team with a bronzed and fit James Hunt surrounded by four healthy McLaren cars. Bandages and will-power got Giacomelli into the scene again, as they did for Alan Jones who was soon ready to have a go in Williams 001 in the afternoon. 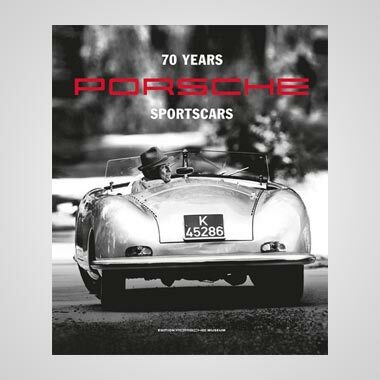 For the final hour conditions were grey but fine and Andretti simply annihilated any signs of opposition from 12-cylinder cars, Michelin- tyred cars, drivers who say they are better than he is, teams who claim more power, cleverer designers, and all the rest. Without using super-trick qualifying Goodyear tyres he whistled round in 1 min. 21.20 sec., a quarter of a second better than his best Friday time, and then went round in 1 min. 20.90 sec. after a bit of juggling with “paired” tyres, matching and balancing the feel of the front to the rear and left to the right, which is all done by sensitivity, providing everything else on the car is right, and everything appeared to be extremely “right” with the Lotus 79. 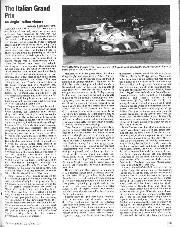 Andretti’s main remark, amid the smiles, seemed to be “that Colin Chapman’s done it again.” (How long ago was it when the Team Lotus cars were at the back of the grid and a lot of people said “they are finished”—two years ?) The next best, for what it was worth, was Reutemann with the Ferrari 033, with 1 min. 21.69 sec., closely followed by Lauda with the Alfa Romeo powered Brabham with 1 min. 21.70 sec. and Villeneuve with 1 min. 21.77 sec. After that anything over 1 min. 22 sec. seemed pathetic, though in fact there had been some good driving taking place and some hard trying by some of the drivers. With only one opportunity to qualify Lunger just scraped onto the back of the grid with his McLaren M26/6, pushing out Daly (Hesketh), Rosberg (Theodore), Keegan (Surtees) and Colombo (ATS). It was fortunate for the ATS team that Colombo failed to qualify, for just before the end of practice Mass and Giacomelli misunderstood each other in an overtaking manoeuvre, and the German driver crashed his ATS badly. He was able to take his team-mate’s car for the race. The yellow flags for this incident caused Reutemann to slow down and Derek Daly ran into a rear wheel of the Ferrari and bounced off into the Armco. The result was an undamaged Ferrari and a bent Hesketh. Among other small skirmishes in this final hectic hour, the Renault 03 arrived in the pit lane with a merry little bonfire burning around its turbocharger unit, caused by a leaking oil seal, and Keegan’s Surtees was wheeled away with a broken Cosworth engine. There were the usual excuses, like being baulked on the super-fast lap, or having the wrong tyres on at the wrong moment, or not getting the best Goodyear tyres, or the superiority of the Michelin tyres, but when it was all over there was little doubt that Colin Chapman and Team Lotus had got their latest version of the Lotus 79 really working and Mario Andretti was making good use of all its attributes. Last year he was on pole position with the Lotus 78 with a time of 1 min. 24.64 sec., his nearest rival being Watson (Brabham-Alfa) with 1 min. 26.18 sec. 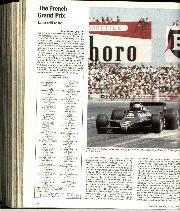 This year in the Lotus 79, on the newly resurfaced circuit, he was again on pole position with 1 min. 20.90 sec. and his nearest rival was Reutemann (Ferrari 312T3) with 1 min. 21.69 sec. First we hear that the Cosworth V8 is finished, then that Team Lotus are finished, then that Goodyear tyres are finished, and at one time I even thought Andretti was finished! There are people who still find Formula One dull and boring! 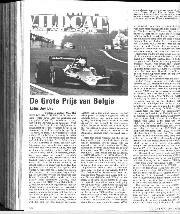 After a morning of “fair-ground” distractions the time approached for what was to be the “Grand Prix de Belgique”, but what was in reality the Zolder Formula One race, or the “Grote Prijs van Belgie”. A thirty-minute “warm-up” session in the morning had produced a small fuel leak on Patrese’s Arrows, and a split rubber gaiter on the left-hand drive-shaft on Fittipaldi’s car, both of which were soon corrected, otherwise all seemed alarmingly serene. The injured Jones and Giacomelli were ready to race, the tough Australian opining that the pain goes away once you start racing. At the ready, in case of last-minute panics, were Ferrari 035 for Reutemann, as he had decided he wanted to race the spare car, with narrow front track, Villeneuve’s had been modified likewise during practice, the new and unused Tyrrell for Depailler, the short-wheelbase Ligier JS7 for Laffite and the unused Lotus 78/3 for Andretti. As it turned out none of them were needed. 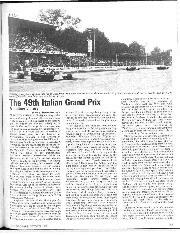 The 70-lap race was due to start at 3 p.m. and at 2.35 p.m. Fittipaldi led the cars out of the pits to drive a lap round to the warm-up grid. Eventually all 24 cars arrived on the grid and by 2.45 p.m. they were lined up correctly in pairs. At one minute to 3 p.m. Andretti on the left of the road and Reutemann on the right, led the procession of 24 cars round a full lap of “warm-up” and everyone pulled up on the starting grid proper. The red light was still glowing as Reutemann’s Ferrari began to creep over the starting line; then the green light came on, the black and gold Lotus 79 surged forward with rear wheels spinning, and was gone. Reutemann’s Ferrari hung slightly as he snatched second gear early, to avoid spinning his Michelin tyres, but from all accounts second gear was not there and he quickly took third, but initial momentum was lost and cars were passing the Ferrari on all sides. Before the bulk of the field were halfway past the pits there was a bumping and boring that would have done credit to Formula Ford. Scheckter thought he would “jump” Lauda’s Brabham on the outside by putting his left-side wheels on the grass, Hunt was following Villeneuve around Reutemann on the right of the grid, and Patrese was making a demon start from his good grid position. On the left of the grid Scheckter clipped Lauda’s Brabham and flicked the 12-cylinder car into the barriers, while on the right Patrese punted Hunt’s McLaren up the back and sent it veering left across the path of the rest of the grid. In the ensuing melee Fittipaldi was forced to brake to avoid the wayward McLaren and got hit up the back by Ickx with the Ensign, and Pironi’s Tyrrell rode up the wheels of the Martini and flew in the air. When the excitement subsided a very angry Lauda was climbing out of his bent Brabham, a despairing Hunt was wondering what he had done wrong and Fittipaldi was looking blacker than usual, his car out of the race. 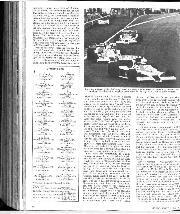 On the warm-up lap Jabouille had collided with Watson, the Ulsterman’s rear aerofoil being knocked askew, and now Pironi’s Tyrrell and Ickx’s Ensign were not the best adjusted cars on the track. Andretti was long gone away from all the unruliness, with Villeneuve in second place, followed by Scheckter, Peterson and Patrese nose-to-tail. At the end of lap 2 it was all over, Andretti was so far in front it was ridiculous and all he had to do was to play the game at his own pace, which he proceeded to do. He pulled out a comfortable lead over Villeneuve and then let the young Ferrari driver set the pace of the race, knowing he could pull out a second or more a lap whenever he wanted to. It was pure Chapman and Team Lotus magic, the Lotus 79 never looking strained, Mario Andretti virtually coasting along comfortably out of reach of the Ferrari, with little or no strain on the Cosworth development engine, the Hewland gearbox or the Lotus chassis. For Lotus enthusiasts it was a joy day. For the rest it was racing and anguish. After being engulfed at the start Reutemann shook himself free of unnecessary opposition and settled into seventh place behind Watson’s Brabham, with a gallant Jochen Mass keeping up with them in his team-mate’s ATS. Peterson was indicating that Scheckter was in his way, but the Wolf driver had blinkers on and wasn’t impressed. Ickx had called at the pits for a new nose cowling and framework to replace that bent on the back of Fittipaldi’s car, and the Renault had its usual gaggle of frustrated Cosworth-powered cars behind it, among them Jones and Depailler. As Scheckter started lap 8 a determined Peterson forced his way by on the first corner and was gone, and a moment later Alan Jones was in the pits with the Williams to have another pair of front wheels and tyres fitted as he couldn’t really control the front end on the existing ones. One by one the struggling mob of tail-enders were getting by the Renault, and the thought occurred that if a private-team had perpetrated the turbocharged car, “Obergruppenfuhrer Ecclestone” would have banned it long ago. Once Peterson had gone Scheckter headed for the pits to have a loose h.t. lead fixed, but was soon back again to have the front tyres changed, these two stops, at 10 laps and 14 laps, dropping him right out of the picture. There wasn’t too much competitive racing taking place at the front of the field, Andretti was playing cat-and-mouse with Villeneuve, who was doing a first class job holding second place, while Peterson was a comfortable third. Patrese in fourth place was having to keep an eye on his mirrors as a rather dispirited Reutemann was beginning to think he ought to have fourth place. Watson stopped to have some different tyres fitted to his Brabham, hopefully to make it feel better, and Jones was back in the pits at 15 laps for another change of front tyres, this time to a different compound altogether. Ickx also stopped to try some different tyres, and the Renault stopped with brake trouble. Watson had a big spin on the right-hand bend leading into the back straight and bounced over the kerb and smashed the bottom of the Alfa Romeo engine, limping back to the pits to retire. In mid-field Mass had been going well, thanks to a good grid position and a good start, but now his gearbox was breaking up and he gradually dropped back. Having been the first of the back-markers to get by the Renault, Bram- billa was holding a good sixth place, but Depailler and Laffite were closing up on him pretty rapidly. In the early stages of the race Stuck had ran into the back of his team-mate, but while the Swiss continued unaware that the thump had broken a gearbox oil pipe, the German had to stop for repairs to the nose cowling. While the front half of the race seemed serene and confident, the back half was untidy and ragged. Brambilla stopped to change front tyres, Stommelen went off the road, and Scheckter stopped for a change of front tyres. Patrese spoilt the scene at the front when he came into the pits with the rear suspension cross-member broken, and that was that, which let a relieved Reutemann move up into fourth place. 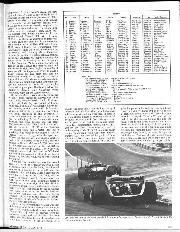 Depailler and Laffite had been pounding along well, making up for time lost early in the race, but now the Tyrrell began to have gearbox trouble and Depailler slowed, leaving the Ligier-Matra to go on its way in fifth place. At half-distance, which was 35 laps of the 4.262-kilometre circuit, there were only eight cars on the same lap, with Andretti going as slow as Villeneuve, rather than disappearing into the distance, followed by Peterson, Reutemann, Laffite, Depailler, Regazzoni and Pironi. A lap down came Giacomelli, Arnoux and Lunger in very close company and actually swopping places. They were followed a long way back by a miserable Mass, with fewer and fewer gears in the Hewland box on his ATS, Stuck, Jones, Brambilla, Ickx and Jabouille in the Renault with dodgy brakes, and a dejected Scheckter. Another five laps saw Regazzoni’s Shadow disappear when the final drive ran out of oil, and as this was happening Villeneuve was in trouble. Just as the little French- Canadian driver braked for the first left-hand corner past the pits his left-front tyre burst, and though he swooped about a bit he kept control and had to limp round the whole of lap 40 with the tyre disintegrating. By the time he got to the pits the wheel was locked solid and skating along on the mangled tyre and he was down in fourth place, Peterson and Reutemann having passed him while he was limping along. The nose aerofoil was a bit tattered, but he soon set off again with a new wheel and tyre fitted, but was well down in sixth place, and was actually lapped by Andretti as he left the pits. There were now only four cars on the same lap, Andretti’s Lotus 79, Peterson’s Lotus 78, Reutemann’s Ferrari, and Laffite’s Ligier- Matra. It was Lotus joy day, with the new Type 79 leading the now obsolete Type 78, and Goodyear were beginning to wonder why they had been getting in a flap, while the Michelin men were wondering where they had gone wrong. With no need to hurry Andretti let Villeneuve go by and get back on the same lap, while Depailler was going slower and slower as his gearbox broke up, finally giving up at the pits after 51 laps. Among the back-markers Giacomelli got the better of Arnoux and Lunger and pulled away from them, though later he spun and they both went by. Gathering himself up the little Italian caught and passed Arnoux, but failed to catch Lunger. 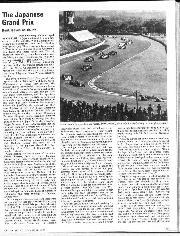 All was now set for a triumphant Lotus 1-2, but at the end of lap 56 there was consternation as Peterson came hurtling down the pit lane with his left-front tyre completely worn out. New front wheels and tyres were on in record time and the Swede left the pit lane at about 100 m.p.h., in spite of a red warning, and nearly collected the Ensign as he rejoined the race in fourth position, behind the Ligier and in front of Villeneuve. If one could have seen Peterson’s face behind his visor, the well-known “glazed over” look was on it and his progress back up towards the front was “vintage Peterson” at his best. Almost unnoticed Scheckter spun off at the chicane before the pits and ended his race in the sand. In a matter of seven laps Peterson stormed up to, past, and away from the Ligier, as if it wasn’t there, and up to, past, and away from Reutemann’s Ferrari in like manner. It was Peterson magic, which, as in South Africa, belied any idea that the Swede is past his prime. He just needs a little incentive to rev. him up. On lap 57 he was fourth and on lap 67 he was back in second place, having caught and overtaken Laffite’s Ligier and Reutemann’s Ferrari, just like that. It was Super-Swede at his best. For the last three laps it was a triumphant Lotus 1-2, but the excitement wasn’t over. Brambilla’s Surtees had expired at the pits in a cloud of smoke when a piston broke, Jones was struggling along with a broken exhaust manifold pipe, Mass was limping along with very few operative gears in his Hewland gearbox, and Laffite was inspired by Peterson and thought he ought to take third place off Reutemann, but the dreaded yellow peril was between them, in the shape of the Renault, and it seems completely incapable of getting out of the way. As they started the last lap Laffite got by the Renault and closed on Reutemann’s Ferrari down the straight behind the pits. On the approach to the chicane the Ligier was half a length ahead, but on the wrong side of the road and on the wrong line. As they turned into the lefthander the two cars touched and spun, the Ligier going backwards off the road with bent suspension, the Ferrari gathering itself up and continuing! With the left side of the car damaged and marked by the Ligier’s rear wheel, Reutemann finished an unhappy third, with Villeneuve in fourth place. Laffite would have been the only other driver to complete the 70 laps, as it was he was in the sand at 69£ laps, so he was given fifth place, ahead of all the also-rans. The result was Lotus 1-2, Ferrari 3-4, but all the joy was in Team Lotus. — D.S.J.